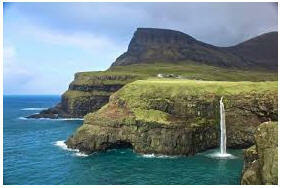 Welcome to my Faroes Adventure Web site! There is a story behind any Adventure .The main purpose of this web page is to describe a simple way to explain to the visitors an impression about our Hobbies on this ADVENTURE ( amateur radio, trekking, bird watching and nature). A web page, any webpage is only as interest as its visitors. I recognize this fact and thank the many hams who spend a bit time to visit. I've added others information a specific application to amateur radio. It's been twenty-seven years since my first IOTA DXpedition, I hope one day that this DXpedition will be remembered for the next twenty years. 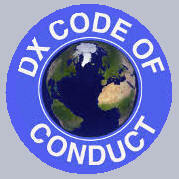 One of the real thrills offered to the licensed amateur radio operator is the opportunity to work DX . That thrill is trebled when the DXing is done from some exotic out-of-the-way place. Unfortunately, most of us have neither the time nor the money to travel extensively... crossing oceans to far-flung islands or dense jungles. We may never visit some remote pacific islands. However, there is nothing to prevent any ham from sharing in the thrill of a DXpedition within reach of simple transportation, in short vacation periods, and best of all, within the range of the billfold. Year after year we continuing look for new adventures in places outside the common tourism route. The XYL permitting, the rig usually accompanies on every trip vacation. Installing the antenna and rig is as important as preparing the first meal or planning places for visiting .The working of DX is fairly simple if the equipment includes A1A Mode on your working planning. Several locations were considered when i started my plans. However due the actual prediction SFI in Europe Froes seemed to be in greatest demand so it was chosen. When we decided on this project, it was initially to think of Greenland and of Iceland, even though it was a few years ago to keep in mind the going to the Faroes Islands.of course that we are scout we can have a good perspective on these feelings. I know that my help is guaranteed on this most beautiful island of the world. We changed the Iceland option because we could not get permission to install antennas in the cottage. This is the second time we have tried Iceland without success. Traveling is one of life's greatest pleasures, but among so many options it is difficult to choose dream islands, places and landscapes that mark them for the rest of your life, but do not just pick up your backpack and plane ticket, Passionate hobby - the amateur radio. It becomes all simpler when ... We decide to go and that's it! The idea is IF YOU LISTEN TO ME! GET TO WO RK! ...."If you can't ear me ! Please don't call me! Please do not follow the Web Cluster! Use your antenna and your receiver! If you do not listen, please do not call ! Maybe you just got your ticket, ---maybe you're an old timer who is tired of ragchewing and handling traffic,--maybe you just plain got bit by the DX-bug---anyway it happened and you're joining in this DX game. Fine , we're glad to have you. Now lets talk a litle bit about the rules. 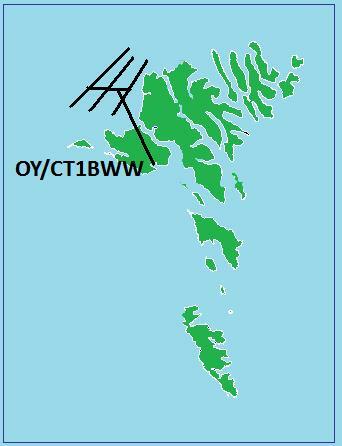 Spend a moment listening OY/CT1BWW in order to pick up our pattern of operation. I prefer working "free" listening COMPLETE CALLSIGNS , don't give me SUFFIXES or PART OF THE CALLSIGN . GIVE ME THE COMPLETE CALLSIGN PLEASE! If the pileup gets too unruly, we may occasionally start working by numbers. We promise not to spend too long on any number and will cycle through the complete sequence in about 10 to 20 minutes. Start and end at any number, not necessarily 1! 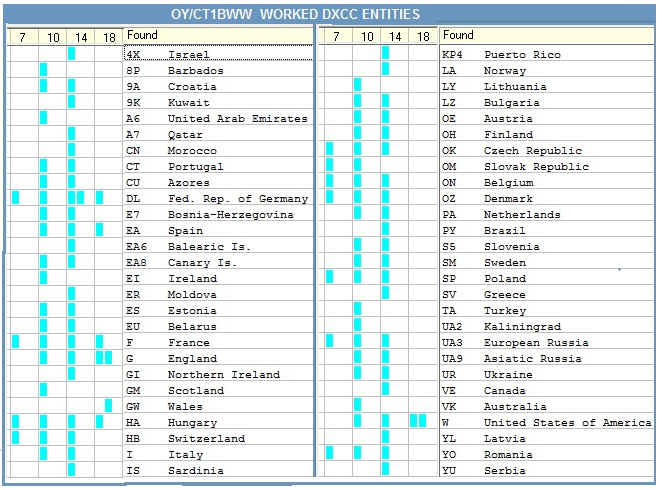 We may also call specific call areas/continents, and also DXcluster spots from over-excited DXers often list broken (incorrect) calls. Do not call until your are certain who you are calling and make sure you log OY/CT1BWW correctly. You would not want all this hard work to go to waste, would you?! I will send our own call frequently, usually during every QSO but at least once every few minutes. If you are still not certain when we contact you, just ask. Most DXers dream of being "on the other end" one time. I am no different except i made it and giving a new country to many other amateurs on my previous islands adventures, was one of the most satisfying experiences of my life. Our amateur radio philosophy has changed considerably in the last years since Mozambique with C91BWW or C98BWW,Most of the amateur radio community only looks for 59 or 599 forgetting the operator that is .... on the other "side"
On the other hand we know who has accompanied us in recent years, in our activities, who has sent us a friendly word, a thank you. 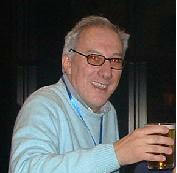 Those who in the middle of the QSO i like to ear ; ... "Thanks MARQ! See you again!" "good job MARQ is NOT a NEW ONE ...but it's Great to see you! " ...." Well Done Marq ! Thanks for NEW Band!" ........ "Great to ear you Marq ! thanks for CW QSO !" Amateur Radio is a mixture of feelings. We should try to give more of ourselves without anything in return .. then we know that more day less day we will be compensated. 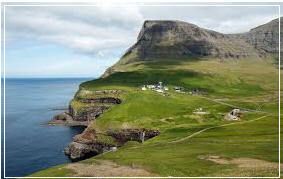 The idea of an activity like in this case the Faroes Island forces me to devote a lot of time to planning. I have to keep in mind that there will be two (2) flights by plane, the first Lisbon to Barcelona and then Barcelona to Vagar. This time I will not take neither amplifier nor "GREAT" antennas, I will do an activity as simple as possible. I've always enjoyed using unusual antennas and surprising my friends their effectiveness - at times. This time I will take Home brew VDA 30M, 20M, 17M,15M and 12M and a portable Sigma antenna. The idea is to LISTEN TO ME! GET TO WORK! The amateur radio has its values in the character of its operators. Please kindly if you ear or work me, spot on the cluster to others. I will look out specially for well modulated signals, even the weak ones, and will make sure our own signal is clean. Please NO DUPES QSO's , give the chance to others! If you work us already, please don't call again at least on different mode. If propagation opens up for DX QSOs, I may start calling specific areas or continents but only for a while, I promise. I'm conscientious of the short greyline openings to North America and Asia, and will be looking for long path as well as short path openings when the time is right. If I work some juicy DX in a run of ordinary QSOs, I may put the pileup on hold and call for more DX to take advantage of the opportunity. Be patient with me: I like working DX too! I don't care ! Although Faroes is not incredibly rare, it makes the top 250 most wanted DXCC countries at number 215 and still generates much interest when activated, often by holiday makers with limited equipment, antennas and time on the air. DXcluster spots from over-excited DXers often list broken (incorrect) calls. Do not call until your are certain who you are calling and make sure you log OY/CT1BWW correctly. You would not want all this hard work to go to waste, would you?! I will send our own call frequently, usually during every QSO but at least once every few minutes. If you are still not certain when we contact you, just ask. You are using correct phonetic? The purpose of phonetic equivalents in voice operation is to make yourself understood. Note I'm not say this is the principal purpose. It's the only purpose. The logical corollary to this is, then, that as long as you make yourself understood, it really makes little difference what phonetics equivalents you use. If this be true, then what's the difference whether we use, say, for CT1NJM, the phonetics Nan Jig Mike, NOVEMBER JULIET MIKE, Nepal Japan Mozambique , Nine Jumping Monkeys, or No Joking Matter? Isn't insistence on a standard phonetic list carrying standardization a little too far? Throughout the years, a great many organizations and communications concerns have endeavored to achieve standardization in the struggle to reduce the spoken to the written word. the result has been promulgation of different standards . So you ask , what's the conclusion ? Which phonetic list should we amateurs use? I still say, however , that the only purpose of a phonetic equivalent is to make yourself understood. If you accomplish this, the first time, then you are using the right list. After all these years, I can recognize hundreds of call signs. Many of these callsigns have become familiar. But using the correct standard phonetic alphabet when calling in a pileup is Does not make you a retrograde. The phonetic alphabet (Alfa through Zulu) in radio traffic serves to avoid mistakes during exchanges of letters and words. To achieve this goal, the 26 alphabet letters have been attributed a unique word. A DX station listens for these unique words in the pileup. His ears are harassed by the fusion of all these words (and figures) and fatigue increases. If we deviate from the standard words of the phonetic alphabet, it gets even more difficult for him. Are newly licensed amateurs totally unprepared to met today's challenge of operating a radio station? Are they completely unprepared to apply practical operating technique to a situation requiring both academic as well as practical skills? Just what is it that makes one operator appear better then another ? When given a dozen or so amateurs, all licensed an equal number of years and all having similar code speeds, why will one or two always outshine the others? Why has more anxiety recently been voiced on the operating characteristics found on the bands? In fact after having read four Morse Courses I could verify that the results obtained by the students diverge significantly. Those who "love" and have a passion for Hobby, take learning as an obsession to the point of teaching as much as possible, others who take Hobby as a "joke" end up demoralizing and giving up. The old timer too, lost much of this status as one who take newcomers under his wing. Years ago it was almost unwritten law that an experienced amateur required to "show the ropes" to an SWL . Whether the ham be a tinkerer , who hasn't made a contact in months, or a fellow who is on the air nightly , amateurs owe it to themselves, and to those aspiring to become amateurs, to practice self discipline, consider the other fellow, give advice freely to those who ask for it and above all not be reluctant to tell a fellow when he's making an obvious mistake. Several locations were considered when i started my plans. 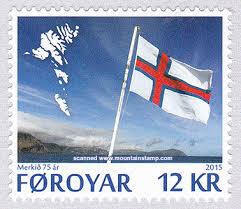 However due the actual prediction SFI in Europe Faroes seemed to be in greatest demand so it was chosen. When we decided on this project, it was initially to think of Greenland and of Iceland, even though it was a few years ago to keep in mind the going to the Faroes Islands.of course that we are scout we can have a good perspective on these feelings. We changed the Iceland option because we could not get permission to install antennas in the cottage. This is the second time we have tried Iceland without success. Like the previous Projects , this is another DX Citing Project made by Hams for Hams with NO COMMERCIAL purpose, only with a TRUE and ALIVE Friendship. The "Five Star" DXCiting is an inspired mix of gracious relaxation holidays, cultural discovery and stimulating activity. 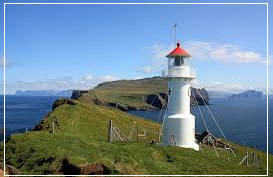 FAROES Offers you different things you can to make time move a little faster. 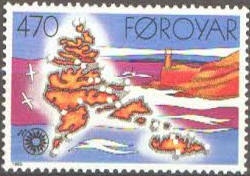 Located between Scotland and Iceland, the small Faeroe volcanic islands are part of the Danish territory. 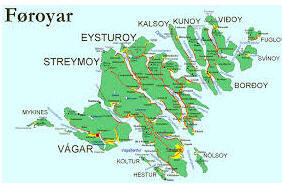 The archipelago is composed of 18 islands divided over short distances, Stremoy is the largest island located in the center of the archipelago. Its capital, Tórshavn has 15,000 inhabitants. The islands have wild characteristics with most of the coast formed by giant cliffs, the highest point of the archipelago is 882 meters and is situated on Eysturoy Island. The abundant marine fauna of the Atlantic region makes fishing the main activity of the inhabitants of the Faroe Islands. Like Amateur Radio, snorkeling, diving, horseback riding , sunset cruises, exploring historical sites, birds, or wandering along trekking on High Mountains. 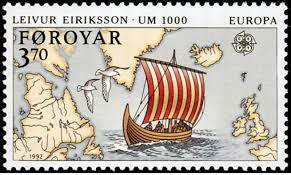 The language, Faroese, derives from Old Norse, that was the spoken by Norsemen who settled the Faroe Islands 1200 years ago. Through the centuries, the Faroese have defied the harsh nature and living conditions. Enduring today is a nation in which the living standard is one of the highest in the world. A highly industrial economy mainly based on fisheries and aquaculture continues to flourish, while a Nordic welfare model ensures everyone the opportunity to explore his or her own potential. Faroese maritime expertise is widely renowned and the Faroe Islands export seafood to all six continents. 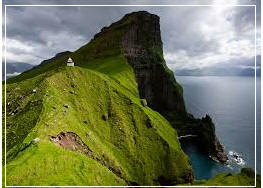 Faroes islands provides the sophisticated traveler with a variety of activities. Those who would like to venture out can visit Torsvhan , the capital, for its numerous restaurants, cafes, bars,and discover the graciousness of the people of Faroes . 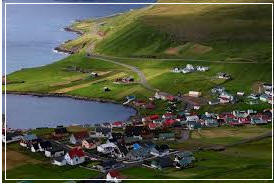 Romantic places , night life, privacy, relaxation and pampering are waiting for you in Faroes. Like Amateur Radio, snorkeling, diving, horseback riding , sunset cruises, exploring historical sites, watching birds, or wandering and trekking on High Mountains.All the destinations that New Adventures offers require planning, knowledge and expertise. As experienced there is still a need to make sure the logistics are handled efficiently and seamlessly. We want to share with others our experience ensuring that all of our knowledge and expertise is utilized in every trip we plan. Through the years New Adventures has built their network to the extent that anything is possible. We have built our reputation on our ability to make this happen. If you can “imagine you there”, we’ll get you there. Since these destinations are our favorite places in the world, we love to speak about them and encourage others to call or e-mail, not only for the benefit of our travel and tour planning experience, but so we can share our enthusiasm for the places we love. 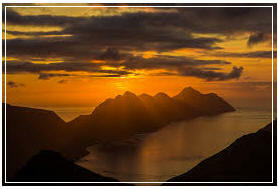 World Discovery Tours with Amateur Radio , sightseeing with Birds Watching or Dolphins and Whale watching or Trekking on High Mountains 'One-off' adventures to remote, wild and amazing places: Western Sahara Desert, Artic Circle Svalbard , Rolas island S.Tome & Principe Island, Fernando de Noronha island, Azores the Volcanos Land, Bazaruto island, Medas Island, French Saint Martin and Dutch Sin Maarteen, Baleares ... Where we go next? I enjoy very much to be part DXciting Projects because is a new way of DXpeditions with Amateur Radio, Adventure tours, safaris sightseeing , Nature. Explore the beautiful mountains or Polar in Artic or Antarctica and High Arctic; walks, treks, wildlife and family adventures . That's why I would like to go with DXciting adventure with other friends I hope we can go in all trips for the future! ( Marq, CT1BWW) "
The DXciting is junction of the Amateur Radio ,Tourism, Adventure and Friendship and also provides good way to spend nice time on vacations sharing friendship and knowledge. The only limit that exists, is how much money we can join and are willing to spend. The biggest decision that we will need to make is where will be. "If your ideal holiday is splendid beaches and walks through the tropical forest interspersed with trips to small cities, and you are looking for quality hotels, or villas with a lot of things to do including amateur radio then be sure to join us . We believe to be the best leisure adventures aimed mainly for Hams with family. 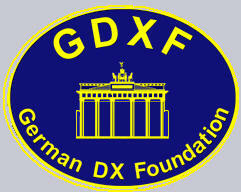 NEW IDEA for Amateur Radio DXpeditions involving Tourism and other activities . "DXciting philosophy is summarised by 'The Spirit of Adventure' enjoy Amateur radio DXpeditions and embraces innovation, quality, value and challenge, encompassed within a framework of ecologically sound adventures. In some places , I'm sure that we couldn't go alone, but if we can planning a group trip, it's more easier! DXCiting it's a good way to make our dreams comes true! "